Head to a bettola in Italy and you’re likely to find a (sometimes literal) hole in the wall establishment, a family-run dive with mismatched water glasses and nary a menu to be seen, where the cook is also the waiter, busboy and maître d’, serving up whatever happens to be available in the back. 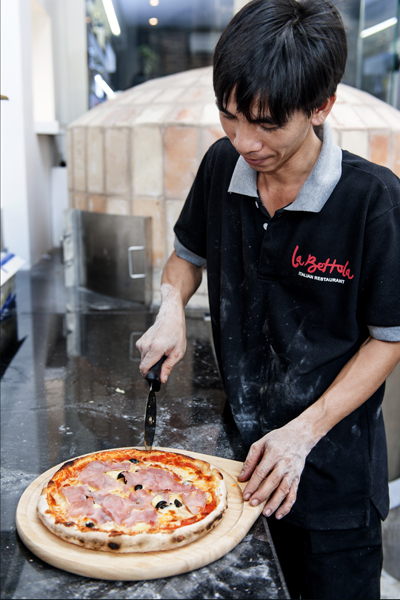 One of Saigon’s newest eateries, La Bettola (84 Ho tung Mau, D1), is facetiously named by chef-owner Giuseppe Amorello, an inside joke akin to calling a big guy “tiny” or a redhead “Bluey”. What this hip, tony restaurant does share with its namesake, though, is stripped down simplicity, from the clean, minimalist décor to the manageable menu celebrating beautiful products made on site. Diners expecting red checkered tablecloths and framed photos of the Coliseum had better head elsewhere; this is not your nonna’s kitchen. 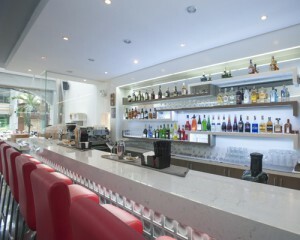 The ground floor houses a sleek (smoking permitted) bar, red leather chairs facing backlit shelving, ideal for showing off the satisfying selection of wines and spirits. We order the Aperol Spritz (VND105,000), common enough in Italy but a serendipitous find in Saigon considering how difficult it is to find Aperol. The citrusy sweet base for this cocktail is infused with bitter and sweet oranges, mixed with a healthy splash of Prosecco and seltzer. Aperitifs consumed, we make our way up to the twin dining rooms on the first floor, passing by the glass-walled kitchen, gleaming with new appliances. 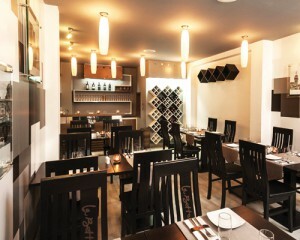 The two non-smoking dining rooms, one dark and moody, the other bright and open, seat a total of about 80 guests. The sophisticated, ultramodern décor comes courtesy of Hanh Watt, the restaurant’s business manager and benefactor. Her years of luxury hotel food and beverage experience come through in the trendy lounge music, the heavy cutlery and precision service of the wait staff. Upon renovation, a service elevator was installed precluding the mingling of guests and staff laden with trays and dirty dishes navigating the same staircase. To the eye, no expense has been spared to make this one of the city’s most thoughtful spaces. 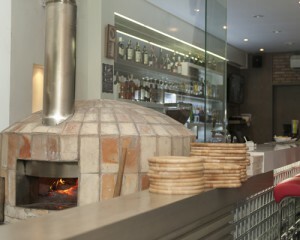 The menu, however, is entirely the creation of chef Amorello, a native of Trieste, in the far northeast of Italy. 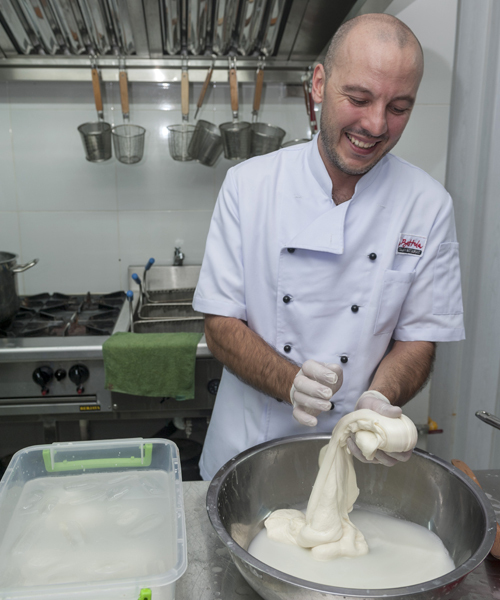 Enrolled in cooking school at the age of 14 (“I don’t like study,but I always have the passion to cook at home with my mama, so I choose this career,” he says), chef Amorello has worked in Italian kitchens in Germany, Greece, Italy, the US and most recently in China. 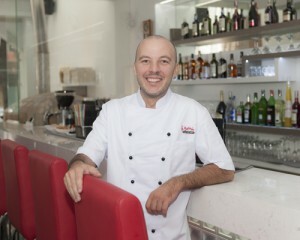 La Bettola is his first restaurant, though, and his ambitious menu shows he’s out to prove himself. Our dinner starts with the Rucola e Gamberi (VND135,000), a perfectly simple salad of arugula with generous-sized shrimp, homemade mozzarealla and Gorgonzola. 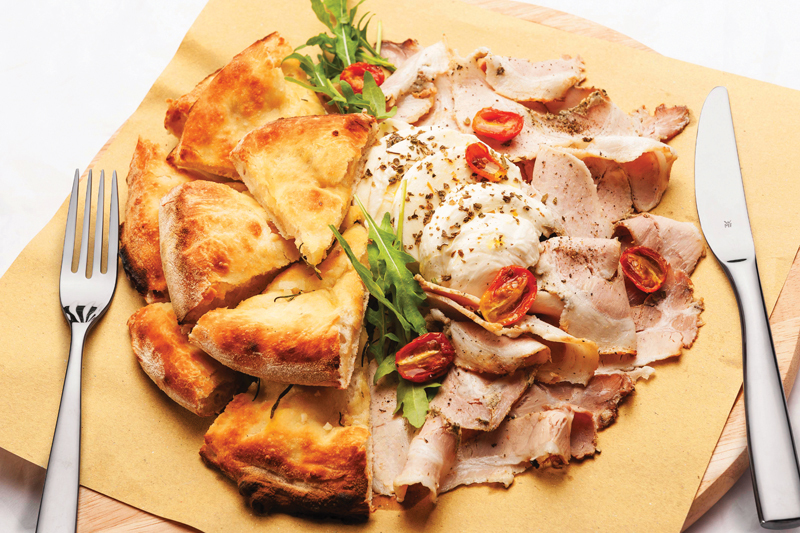 But the standout is definitely La Bettola (VND265,000), a huge serving (easily shared between 2-3 people) of shaved porchetta (slow-roasted, boneless pork stuffed with fresh rosemary and oregano, mustard and other spices) and paired with the most heavenly of focaccia ― flaky, slightly crunchy and most importantly, straight from the wood-burning pizza oven downstairs, brushed with olive oil and garnished with a few sprigs of rosemary. If you’ve been to Central Italy, you’ll recognize this most delicious of street foods. Here, instead of being a whole roasted pig, chef Amorello uses pork belly and garnishes the dish with cherry tomatoes and arugula, served without fuss on butcher paper laid atop a wood cutting board. The mains are just as comforting, with tortellini, pappardelle, spaghetti and gnocchi being among the pastas made on site. 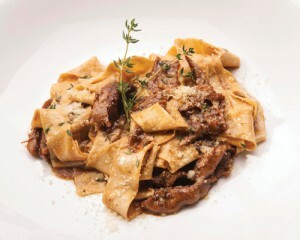 We opt for the Ravioli di Magro (VND185,000), traditionally a favorite during lent as it contains no meat. It’s been said that the perfect mouthful of ravioli has a ratio of 45:45:10, dough to filling to sauce, and this comes close, with a spinach and homemade ricotta filling, lightly sautéed with butter and fresh sage. The Filetto di manzo ai porcini (VND455,000) is equally solid, the thick cut of beef tenderloin featuring a good sear to seal in the juices, with the porcini mushroom sauce doing most of the work seasoning- wise, as it should. By the time dessert comes around, even the promise of tiramisu made from homemade lady fingers and mascarpone can’t tempt us. The lemon sorbetto (VND85,000), though, refreshingly sour with an appreciable kick of vodka, was the ideal palate cleanser. While this brand new restaurant draws in the lunch crowd, being in the shadow of Bitexco and the rest of the financial district, evenings are less harried, if a relaxed dinner is what you’re after. Whether chef Amorello and his team can continue to handmake as many products as he now does once word spreads of this superb dining experience remains to be seen. 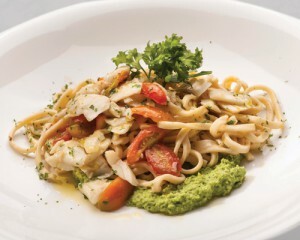 For now, though, the unique stripped down sophistication of La Bettola is a refreshing addition to Saigon’s culinary scene.